Irene Chelangat with her TechnoServe business advisor and her children. Thanks to her training through the program, she is now able to pay for her children's school fees and materials. 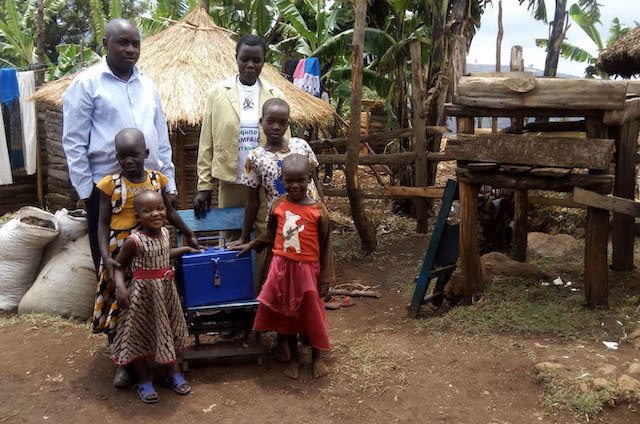 Not long ago, Ugandan farmer Irene Chelangat struggled to support her five children. The 34-year-old grew potatoes and corn, but productivity on her small farm was very low. 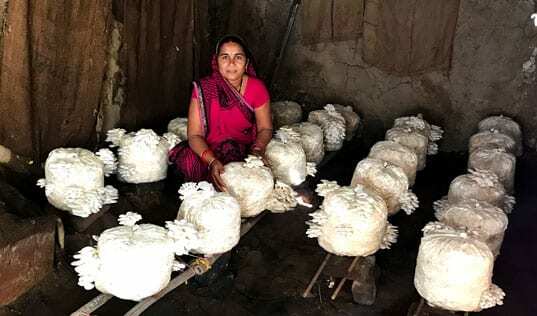 She harvested enough to provide basic meals for her family, but had nothing left over to sell. It was difficult for her to pay for her daughters’ school fees, uniforms, and materials. Her life began to change, however, when she enrolled in a program funded by AB InBev and implemented by TechnoServe. Since 2017, the program has worked to improve the livelihoods of 2,000 barley and sorghum farmers who supply Nile Breweries Limited, an AB InBev subsidiary that is the largest brewery in Uganda. 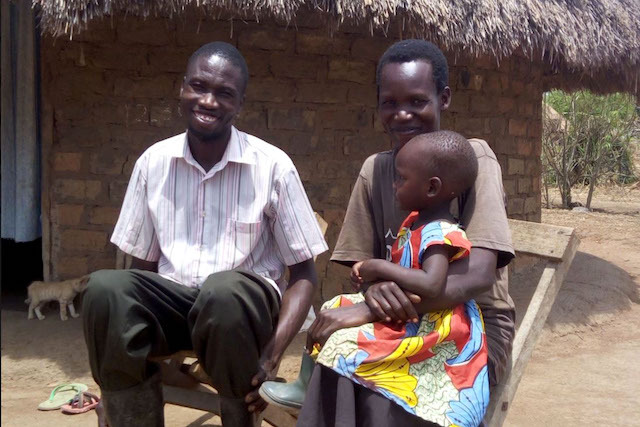 Women like Irene make up more than half of the agricultural labor force in Uganda, but face constraints such as high demands on their time in the household, and lower access to training and assets. In 2016, AB InBev commissioned research that showed that plots managed by women were 32 percent less productive than either those controlled by men or managed under joint decision-making. Helping women achieve their potential is a huge opportunity to secure more grain and build a more prosperous, inclusive supply chain that will help the brewery and the farmers who supply them to thrive. Nile Breweries and TechnoServe are providing farmers with training on productivity-enhancing techniques, strengthening the capacity of farmer groups, and helping farmers to create local savings groups. Women are encouraged to attend training and take on leadership roles, while men are shown the value that including their spouses in training and decision-making can bring to their households. Joyce Amongin, a participant in AB InBev's grower-education program, more than doubled her income after training, and is now sending her children to a local private school. When Irene received training, she quickly put her new knowledge to good use. She learned to plant her crops in rows and manage pests, and she decided to grow barley. Irene was so enthusiastic about the project that she was elected by her neighbours to serve as their lead farmer, hosting the demonstration plot in her area to show other farmers how best practices could increase their productivity. Her hard work paid off at harvest time. “The yield at harvest was good, and I earned a good income out of what I sold,” she said. She received high prices for her barley, because she was able to sell directly to Nile Brewery Limited’s buying center, rather than to middlemen. With her increased earnings, Irene has been able to pay for her children’s school fees and materials. She even had money left over to start a side business trading the crops grown by others. Always looking for new opportunities to support her family, Irene is already eyeing her next investment: “I hope in future to buy a truck that will help me in transporting my produce to markets where I can get better prices,” she said. Read more stories of women who make TechnoServe’s mission possible.